Holographix has successfully completed its certification audit conducted by NQA, and our quality management system is now officially compliant with the new ISO 9001:2015 standard. 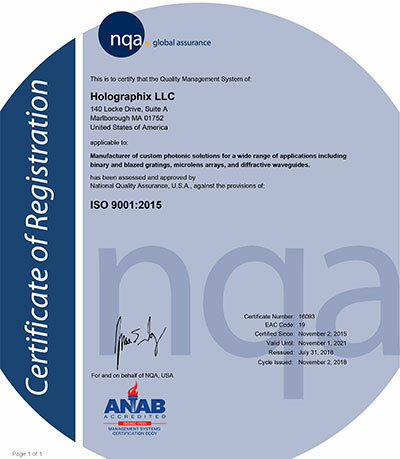 Earning our ISO 9001:2015 accreditation is a clear indication that Holographix is dedicated to holding ourselves and our products to the highest standards of quality, reliability, and dependability. 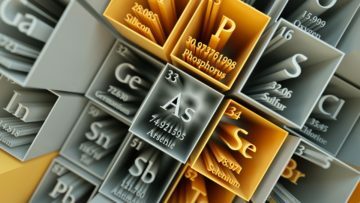 The term Conflict Minerals refers to raw materials that come from a particular part of the world where conflict is occurring and affects the mining and trading of those materials. 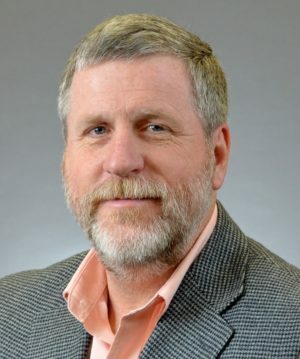 If Goods being supplied from a vendor contain the minerals Tantalum, Cassiterite, Tungsten, Gold, Tin, or Wolframite, Holographix shall ensure that any items or materials forming part of the Goods have been purchased from legitimate and responsible sources, which are in compliance with United Nations resolutions, and which are not in any way involved in funding conflict.